Tuck Everlasting star Andrew Keenan-Bolger is set to go behind the lens as Broadway.com’s latest video blogger. Look out for the new series: Forever 17: Backstage at Tuck Everlasting with Andrew Keenan-Bolger beginning on April 11. Keenan-Bolger, who plays Jesse Tuck in the new musical, will grab a camera (something he’s used to at this point) and offer a glimpse of the backstage excitement at the Broadhurst Theatre. Be on the lookout for appearances from his forever young co-stars, including Carolee Carmello, Terrence Mann and newcomer Sarah Charles Lewis. 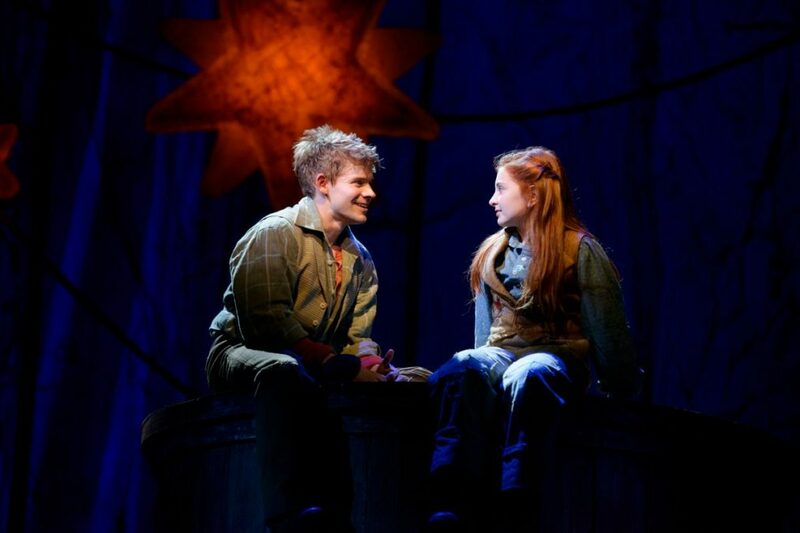 Prior to starring in Tuck Everlasting, Keenan-Bolger appeared on Broadway in Newsies, Mary Poppins, Seussical and Beauty and the Beast. His additional credits include The 25th Annual Putnam County Spelling Bee, Ragtime and How the Grinch Stole Christmas on stage and The Rewrite, Marci X and Looking on screen. Catch Forever 17 every Monday forever and ever and ever for eight weeks.